Unlike other types of electrical resistors, a wirewound resistor has not only support of insulating material and resistant to temperature, but also a wire whose resistivity depends on the level of resistance. This proficiency allows for higher stability and sound control in frequencies between 95W and 1 600W. At ECOMSA we manufacture a variety of wirewound resistors that possess abilities like 1) withstanding high currents with suitable stability in power circuits such as voltage dividers, power attenuators, and filters and 2) decreasing the power over the nominal in a short time frame. 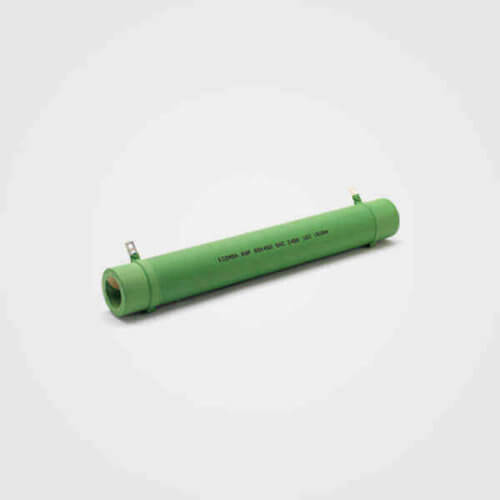 The electric resistors with greater capacity to decrease the power over the nominal are the Wirewound Tubular Resistor 60×220 SI 600W, due to its ceramic tube with a high degree of thermal dissipation and a winding of spiral resistive wire. Meanwhile, the Wirewound Tubular Resistor 20×100 SAC/CZ 95W has a ceramic tube with a high degree of thermal dissipation and mechanical resistance for a maximum temperature on the surface of 425ºC. 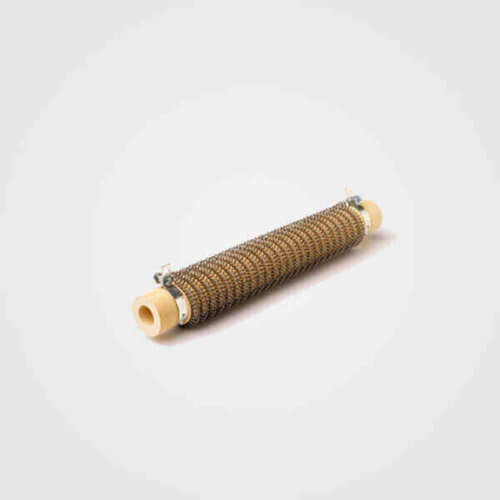 We design each wire-wound resistor according to the customers’ taste and needs. That is why the operating temperature will depend on the specifications of the given dimensions and technology. Consequently, we recommend ponderating the ambient temperature, the available space and its disposition in diameter/length ratio.